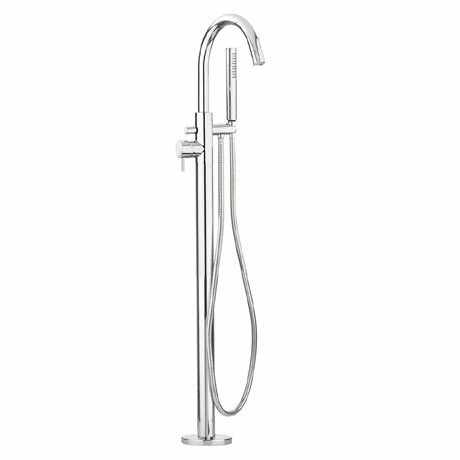 The Design Floor Mounted Freestanding Bath Shower Mixer from Crosswater combines a stylish lever design together with ease of use. This tap features a sleek, round body and curved spout, complemented by a matching round lever handle incorporating ceramic disc valve technology. Suitable for high pressure systems of 3 bar and above. Manufactured from solid brass and comes with a 15 year guarantee from Crosswater.